New Listing, Full Specs and Photos in progressFOR SALE or CHARTER4 Staterooms, 4 Heads plus separate Crew Aft.This Yacht underwent a Major 450,000 $$$ Plus Re-Fit completed in May of 2016.Some of the notable upgrades were, All new teak cockpit, side decks, flybridge and swim platform. All new custom Ellsworth Ford Interior Design throughout the entire boat, New state of the art entertainmentsystems including HD TV’s in the salon and all 4 staterooms. New complete Garmin electronics package, New 2015 AB 11DLX Tender, New Yamaha EX Sport Jet Ski, the listgoes on and on.All the mechanicals and A/C systems continue to be serviced and up to date. United Yacht Sales New Jersey would love to guide you through a personal showing of this 75' Viking Princess 75 My 2004. 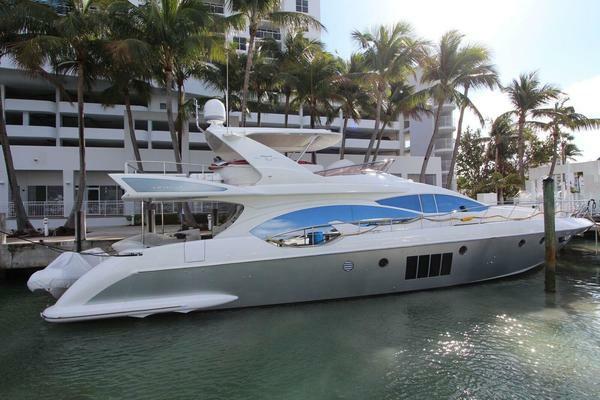 This yacht for sale is located in Miami Beach United States and priced at $1,499,000. For a showing please contact us by filling out the form on this page and we will get back to you shortly!